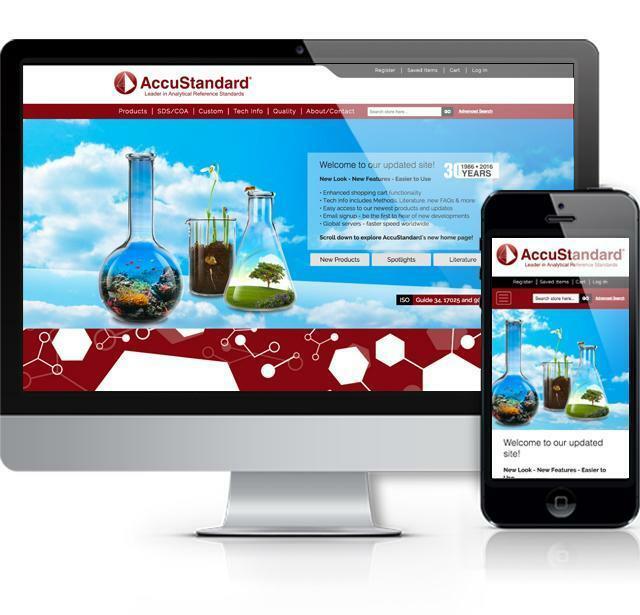 AccuStandard is a leading manufacturer of Certified Reference Materials (CRMs), providing many organic, inorganic and petroleum reference standards for chemical analysis to customers around the world. Based in New Haven, CT, their website began as a WordPress site providing information and documents. They evolved to selling products online, with the e-commerce portion of their business built separately in Magento and linked to from the WordPress site. In 2015, company owners and the website team planned a path forward where all content and shopping functionality would live on one Magento website. Also to be included – real-time integration with their well-established and highly customized FileMaker database. From the website: AccuStandard ships products to over 130 countries and maintains a distributor network in 85 of those countries. Since AccuStandard’s inception the product line has grown to include over 12,000 Reference Standard products and twice that number of special formulations which have been developed for specific customer needs. Wanting to work with a local company with whom they could build a collaborative relationship, AccuStandard contacted Harris Web Works (HWW). After several discussions and exploration of HWW’s expertise in Magento programming/administration and database integrations, AccuStandard and HWW teamed up to build the new site. The crux of this project was to merge the WordPress and Magento versions of the website into one seamless website and to help streamline the integration of FileMaker and Magento. Other top objectives were to improve upon the usability, searchability and design of the site. AccuStandard.com site has several thousand users each month, with purchases coming in from around the world, 24/7. This presented a need for customers around the world to experience the same quick speed as those in North America. After research and discussions between HWW programmers and the AccuStandard team, the most effective solution was to host a copy of the Magento e-commerce store in South Korea. However, it was important not to have two copies of the customer and product database, which would cause confusion among staff, create duplicate order or user account information, and create additional maintenance. The solution was to mirror the website and database. The database and website in Northern Virginia and South Korea function as one presence. There is one database and one administrative interface to maintain. As a bonus, each site serves as a live backup in the event of an outage. This solution was implemented with tools available exclusively at Amazon Web Services by HWW’s AWS Certified Solutions Architect and programming team. 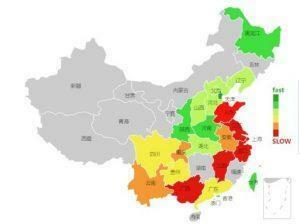 Before: Hosting architecture – no server in Asia (red shows less than optimal connection speed). After: Multi-region clustered database and mirrored website in South Korea – much faster and more reliable connection speed.